The Red Machines continued their revival with three wins on the trot. Churchill Brothers inflicted a painful defeat on Indian Arrows as the Goan side won 2-0 in their I-League encounter at the Tilak Maidan, Vasco tonight. It was the third straight win for Churchill Brothers as they leapfrogged the Arrows into the seventh place in the table. The Goan side scored two late-late goals with the opener scored by Dawda Ceesay (88‘) and Israil Gurung (90’+2′) adding another as it sealed all three points for the Red Machines. Churchill Brothers fielded an unchanged starting XI that beat Shillong Lajong in the previous game. 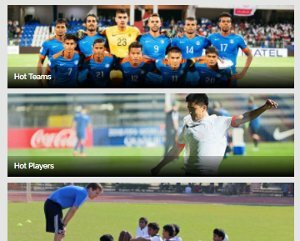 As for Indian Arrows, there were two changes as Jeakson singh did not feature due to an injury and Edmund Lalrindika was dropped. Their replacements were Abhijit Sarkar and Deepak Tangri. It looked like Luis Norton de Matos picked a fluid 3-5-2 formation. 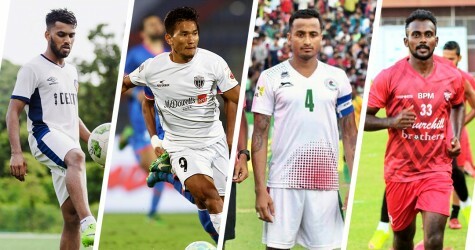 The team featured three central defenders with Tangri joining Jitendra Singh and Anwar Ali in the heart of defence while Boris Singh and Sanjeev Stalin played wingbacks. Churchill had a golden opportunity in the 14th minute when their left-back Denechandram Meetei floated in a brilliant diagonal long ball into the Arrows box. Arrows centre-back Anwar couldn’t reach the ball as it went over his head and into the path of an unmarked Koffi Mehac who was lurking down the right of the penalty box. But the Cote D’Ivoire-based forward fluffed his line when he had only the keeper to beat. 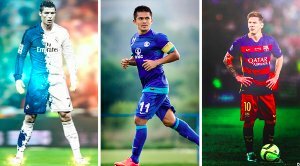 Churchill suffered an early blow when Uttam Rai who was having a good game went off injured in the 28th minute and had to be replaced by Israil Gurung. In the dying minutes of first-half, they had a chance when Dawda Ceesay almost found the far post but his shot ran across goal. Meanwhile, what stood out for Arrows was their organisation and the ability to play as a collective which helped them hold off the Goan side for long periods. Finally, the youngsters carved out a chance when Boris Singh managed to cut in from the right and struck a left-foot shot that swerved away from the goal in the 68th minute. Eventually, Churchill goalkeeper James Kithan was drawn into making a save when Rahul KP went with the ball into the box and shot which was kept out by Kithan. The game looked to be heading for a draw but the game turned on its head in the last few minutes. 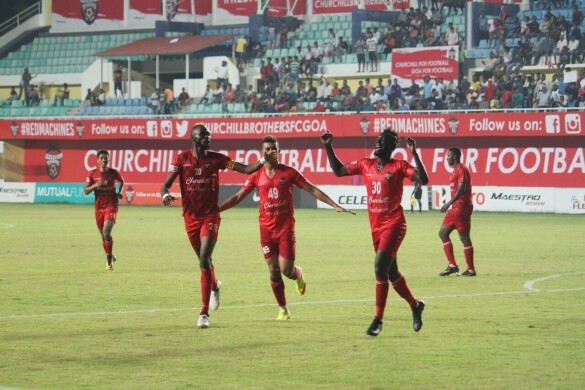 It was heartbreak for the Indian Arrows colts as Churchill Brothers eventually scored in the 88th minute. It all started when Koffi beat the offside trap from a counter-attack and ran clear of the defenders before cutting inside. His shot was cleared away but the scramble inside the box saw the ball rolling into the path of Ceesay who placed his shot into the net in the 88th minute. Churchill Brothers scored a second in the (90+2nd) minute when Anwar Ali conceded a free-kick just outside the box which was quickly taken by Koffi. Israil Gurung pounced on the opportunity and scored to secure all three points. The Red Machines will host high-flying Neroca FC on the penultimate day of this month and the young Arrows will now fly to Coimbatore to challenge Chennai City FC on Janaury 27, 2018.